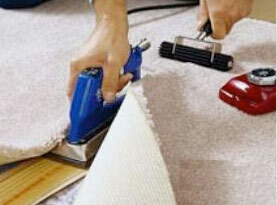 Jim Ryan Carpet Repair has been serving the Jacksonville Florida residents for more than 20 years! 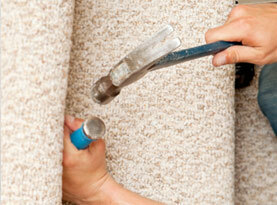 Our expertly trained and experienced staff has the know how to repair any carpet faults that you might have. Carpets are a big investment and many times it can be repaired by an experienced technician for a fraction of the cost of replacement. We pride ourselves on having great customer service and leaving our customers pleased and satisfied with the work that we provide. 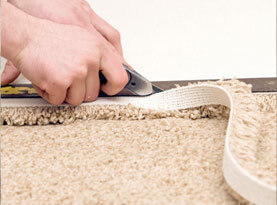 We offer carpet installation for times when a repair will not suffice. We also offer specialty services that include carpet stretching, carpet patching, carpet to tile conversions and general repairs. We are so confident in the expert and high quality work that we provide that we offer a guarantee on each job for up to five years. Our support staff that runs the office is very friendly and trained to ask the right questions so that your experience with us is smooth and efficient. If you are interested in having your carpet repaired, stretched, patched or new carpet installed give Jim Ryan Carpet Repair a call today! © 2016 Jim Ryan Carpet Repair. All rights reserved.